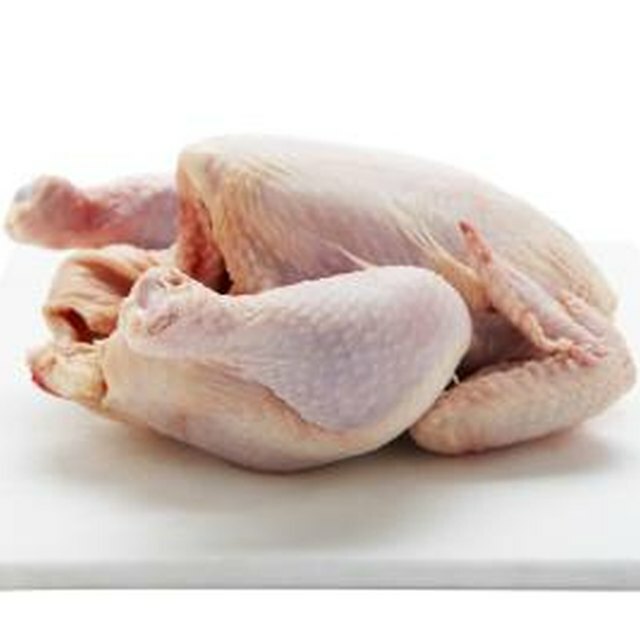 Can You Boil a Whole Chicken That's Frozen? Can I Cook a Whole Chicken Without Taking the Giblets Out? Can I Leave a Frozen Pork Roast out Overnight to Thaw? Is It Safe to Leave a Turkey at Room Temperature Before Cooking? You can prepare a Jennie-O turkey breast in a slow cooker. 1 Can You Boil a Whole Chicken That's Frozen? 2 Can I Cook a Whole Chicken Without Taking the Giblets Out? 3 What Does Spoiled Meat Smell Like When Cooking? 4 Can I Leave a Frozen Pork Roast out Overnight to Thaw? Whole turkeys from Jennie-O should not be prepared in a Crock-Pot or any type of slow cooker. Because of the size of a turkey, you will overfill the slow cooker and increase the risk of food-borne illness. Choose the oven-ready breast from Jennie-O to make in your slow cooker. The breast includes Jennie-O's Fool-Proof cooking bag, a product that allows you to heat the turkey without any thawing, cleaning or seasoning. Take the turkey breast out of the freezer. Remove the packaging from the turkey. Leave the turkey inside the cooking bag included with your purchase. Cut three slits in the top of the cooking bag that contains the frozen turkey breast. Each slit should measure approximately ½ inch. Place the turkey breast in the 5- to 6-qt. slow cooker. Cover with the slow cooker lid. Set the desired temperature on the slow cooker. Remove the turkey from the slow cooker after 4 1/2 hours if cooked on high or 6 1/2 hours if using the low setting. Cut open the cooking bag and remove the turkey breast. Reserve the juices in the cooking bag to make gravy if desired. Allow the turkey to rest approximately 15 minutes. Carve and serve. 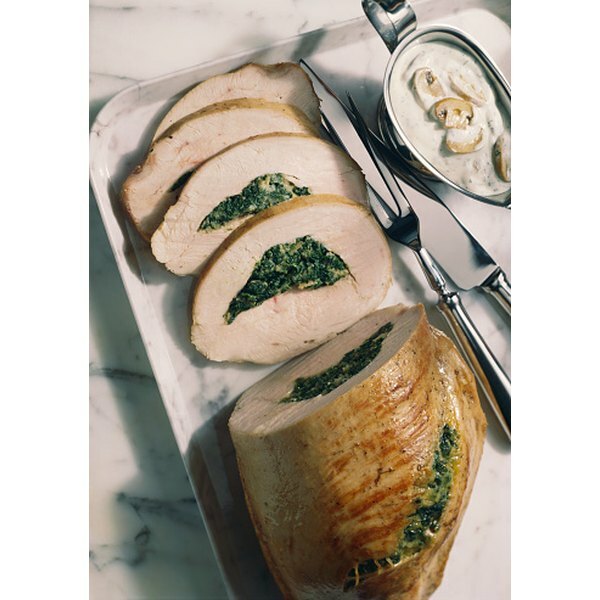 Use a meat thermometer to take the internal temperature to ensure that the turkey breast is cooked thoroughly. The thickest portion of the breast should read 170 degrees Fahrenheit. Wear gloves while handling the turkey in the cooking bag. The turkey and gravy will be very hot after hours of cooking. Don’t remove the turkey breast from the cooking bag for seasoning or cleaning. The Jennie-O product comes pre-seasoned and cleaned. Seasoning options include Butter and Garlic and Herb. Can You Cook a Turkey Halfway & Finish it Later? Can You Bake a Small Chicken While It Is Still Frozen?